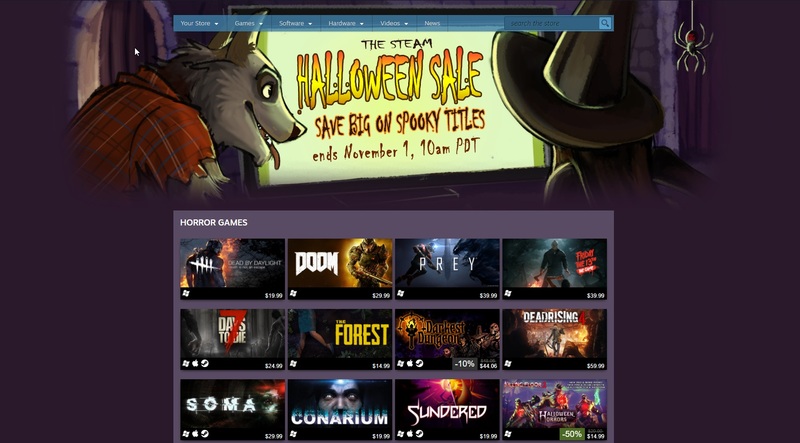 Scare up some crazy good deals during this year’s Steam Halloween Sale. The 2017 Steam Halloween Sale is officially live, bringing with it deals across a wide variety of games, many of them within the horror genre. The sale will continue over the next 6 days and will end at 10 a.m. (PDT) on Wednesday, November 1st. To help, you can click here to check out the complete Steam Halloween Sale page, which lists out all of the available deals. Additionally, you can use websites like CheapShark to keep an eye out for some of the best deals percentage wise. While the Steam Halloween Sale may serve as a precursor to larger sales, such as the Black Friday and Winter sales, there are nevertheless plenty of scary good deals to go around. Below, we’ve highlighted some of our favorite indie game deals within the Steam Halloween Sale. Wondering when the Steam Black Friday and Winter sales will go live? Be sure to head over to our article where we discuss the leaked dates for Steam’s Halloween, Black Friday, and Winter sales!